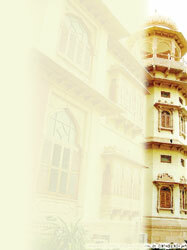 Situated in a corner of Clifton, the historic Mohatta Palace dominates the landscape in all its beauty and splendour. But the much-loved landmark also holds a few mysteries of its own. Apart from tales of the palace being haunted, the story of a secret passage leading out of the building is the most popular of all. Though it is definitely the beauty of the palace that still attracts visitors from far and wide, one story about the building is constantly discussed passionately: it is the mystery behind a safe passage from the basement that is believed to lead to the old Shiv Temple, almost a kilometer away from the palace. According to a commonly shared myth, a passage was built for the wife of the original owner, Shiv Rattan Mohatta, so that she could go to the Shiv temple without having to step outside. Built by Shiv Rattan Mohatta in 1927, the palace was constructed in the affluent neighborhood for Mohatta’s wife who used to spend her summers in the palace. The biggest attraction of the building is its striking architecture which was assigned to ‘one of the first Muslim architects in India,’ Agha Hussain Ahmed. Soon after partition in 1947, Mohatta moved bag and baggage to India leaving behind the palace, which was taken over by the authorities. For sometime, the palace was used as the Ministry of Foreign Affairs and was later given to the Quaid’s sister Fatima Jinnah. After her death in 1964, the palace was handed over to her sister, Shireen Bai, who lived there till the time of her death in 1980. From then on till 1995, the palace was sealed as a result of litigation till it was later purchased by the Government of Sindh and turned into a museum. When asked about the mysterious passage, the museum staff completely denied its existence and termed it mere speculation and an ‘urban myth’. Leading architect Yasmeen Lari, too, was sceptical. She had little idea about the legend of the passage but she insisted that there was no such thing inside the building. Lari said that she had gone on a tour of the building with a group of people long before it opened to the public in the ‘90s. “Down in the basement was a small swimming pool. That is the only thing I’ve seen so far, as I documented in a report prepared by Lari Associates,” she said. Almost everyone spoken to had their own version of what the passage was used for. Some people said that it was indeed used by Mohatta’s wife, but it was in order to go to the sea rather than the temple. The present board of trustees at Mohatta, however, completely denies the theory but does not deny the existence of some sort of passage. Hameed Akhund, member of the board of trustees at the Mohatta Palace Museum, said that: “once during the refurbishing of the palace in the late ‘90s, a labourer fell into a ditch which was beside the lawn. On looking at it, we discovered that there was a small passage leading ahead but it was too dark to see it properly,” he said. Explaining and refuting the myth behind the passage, he said that when he went inside later to check it properly it was too small for a human to stand inside. “I stooped a bit and couldn’t walk ahead as it was cramped. We also heard stories that it opened somewhere else, but didn’t see anything.” He said the passage was clearly a conduit for water rather than for human beings explaining the water was meant to go to the sea. In fact, the point at which the current Shiv Mandir is located was once submerged by the sea. Akhund also attributed the closing down of the passage to the fact that many residential houses were made around the palace later on. 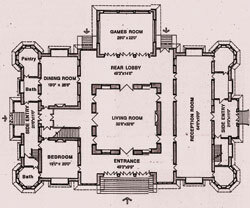 Moreover, he said that the myth is part of the many stories one has heard about the palace. According to one myth, the palace is haunted. And this is one story he takes somewhat seriously. “It is a fact,” he added saying that many a times during the renovation of the palace or while preparing for exhibitions, people working late at night have spoken of some mysterious things happening. Lari believes that the long period when the building was sealed and fell into disuse ruined a lot of things. Perhaps the passage was one of them. “I got to know that a lot of things were removed or stolen from the palace when we went there on a tour. Similarly, the passage, if there is one, was also probably not taken care of when it was found, as Akhund says, because otherwise we would have known where it led to,” she said. Away from the palace, Goswami Shri Mahant Baba at the Satlaa Mata Temple in Bhimpura said that the passage “is probably nothing more than an outlet for water from the palace.” The temple was once underwater, he said, and was only discovered when the sea receded. Explaining he said, when the palace was built, the area near Kothari Parade was surrounded by sea water. So much so that at times the Shiv Temple, which was previously known as Shiv Takery Temple, was swamped by the water during bad weather. He said that Shiv Rattan Mohatta took responsibility of the temple and built a boundary wall around it during the two decades that he lived there. Fighting a legal case for the past 10 years now over the rights issue with the owners of the temple, he said he took a few photographs of the Shiv Temple where a cave is visible. But he could not provide them, as copies of the pictures were submitted to the court as evidence and he could not locate the originals. “There was a cave inside the temple that was narrow from the opening but went up to a wide passage. It got clogged over time. And with time it became so small that only a rat could come through it,” he said. Akhund, however, denied having any knowledge of a temple on the roof of the palace. “I know I sound like a party pooper, but I don’t have any knowledge of a temple on the roof,” he said. Giving an example, he said that there is a famous palace known as Katcha Qillah and Pakka Qillah in Hyderabad, and there is a similar mystery ‘created by people’ about it as well. “There are some who say that there is a tunnel going from one end of the Katcha Qillah to the other side where the Pakka Qillah is located. There are some stories that also suggest that there is treasure in that tunnel. But the fact is, it’s a conduit for water,” he said. Similarly, after a labourer fell in a ditch outside the palace, Akhund said that the size (4x4) of the tunnel that went from there indicated that it was meant for water rather than any other purpose.